How to Set Your Facebook Live on Fire! Facebook is by far the largest social media out there with over 2 billion people on the platform. Introduced in 2016, Facebook Live is its livestream service. Many people know how to use Facebook but few really know how to use Facebook Live for their brands. Well, I am here to help you with that. Think of Facebook Live as a way to enhance your customer’s experience. He gets to see you in the flesh in real time. Moreover, unlike Facebook, Facebook Live is FREE. This is big because it costs you NOTHING to livestream. Finally, Facebook is prioritizing video. You want to be a priority to Facebook and Facebook Live is the key! Community engagement – Facebook Live enables you to answer your followers’ questions, give community updates and even conduct live trainings and webinars on your Facebook business page or in your Facebook group. Product demonstrations – You can do live product demonstrations in real time using Facebook Live. You can also showcase digital products and services. Facebook Live’s capabilities allow you to be highlight intangible offerings. Live events – hosting an event? Facebook Live is your friend. Streaming parts of your event will drum up interest in future events and you as a brand. Behind the scenes (radio or TV interviews) – this is a great opportunity to show your followers what you’re doing and how you conduct business. As a content creator and blogger, there’s more to it than simply banging away on your keyboard. Facebook Live broadcasts have the same audience settings as Facebook posts. With Facebook Live you can stream via your cell phone or desktop. For more information about how to livestream from your desktop check out this article: https://www.facebook.com/help/587160588142067. Facebook Live is a great way to promote yourself, your brand and your community. Use these tips to enhance your customer experience, increase community engagement and communicate your value to companies. 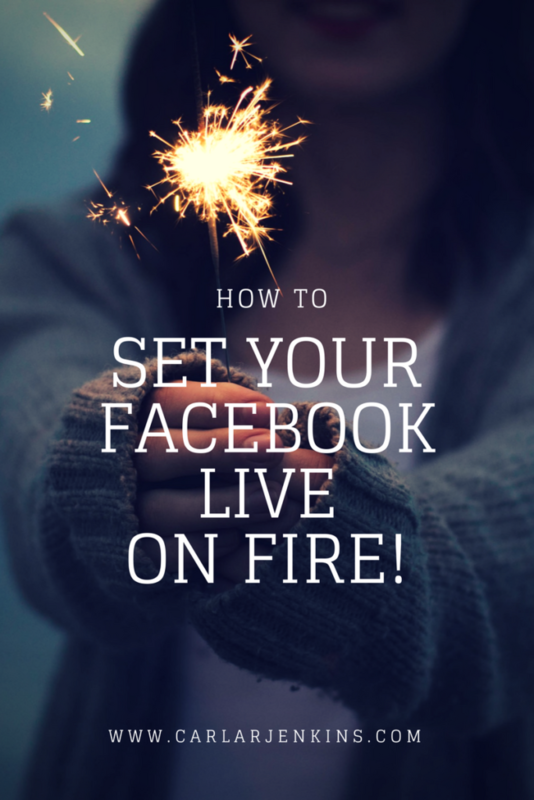 I love FB Live – great way to connect with my audience and promote products!